Field optical ECB interface must be powered with 12 VDC voltages. 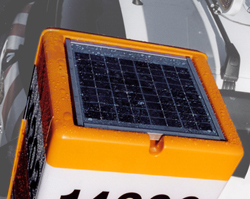 ERECA provides battery + regulator + solar cell panel power system for outside applications. For tunnels, interfaces are powered by a battery + charger.